One more day until V-day for all you love bugs out there. I'm going for a more masculine appeal with black accents and no pink lol. I'm falling in love all over again...with my old school Dymo Label Maker. These ampersand (yep, that's the name of those little 'and' symbols) stamps are from a pretty old Hero Arts set in my stash and, for nice crisp images, I used Hero Arts Shadow and Mid-tone inks. I added a little glossy accents to the hearts for some shine and dimension. 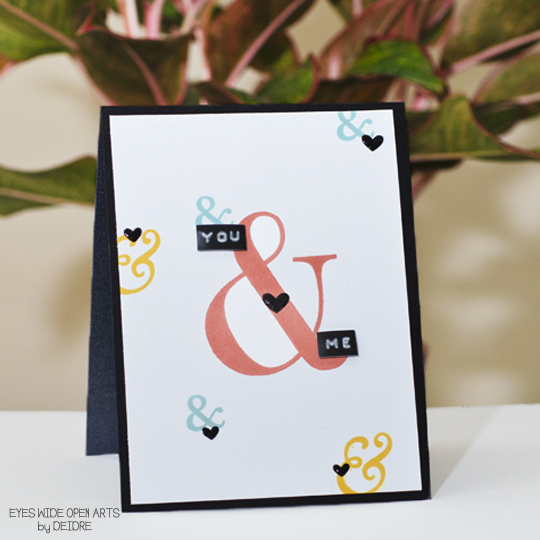 Mounted on black cardstock, I think this would be great for a special guy in your life. 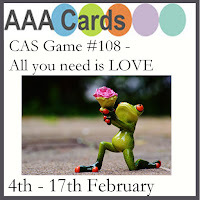 Swing by and check out the loving cards the DT created this week. We're spreading our wings...BUTTERFLY wings that is...over at CASology this week! For my card, I did some masking and sponging of distress inks first (from bottom to top: Tumbled Glass, Mermaid Lagoon, Chipped Sapphire, Wilted Violet, then Seedless Preserves), followed by some water flicking....don't you just love these inks?! 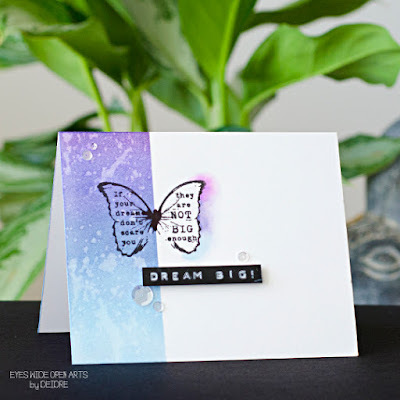 The butterfly stamp is from Prima Marketing - Finnabair Cling Stamps "Don't Forget To Fly" and for my sentiment, I used the old school Dymo Label press. A few sequins and viola! 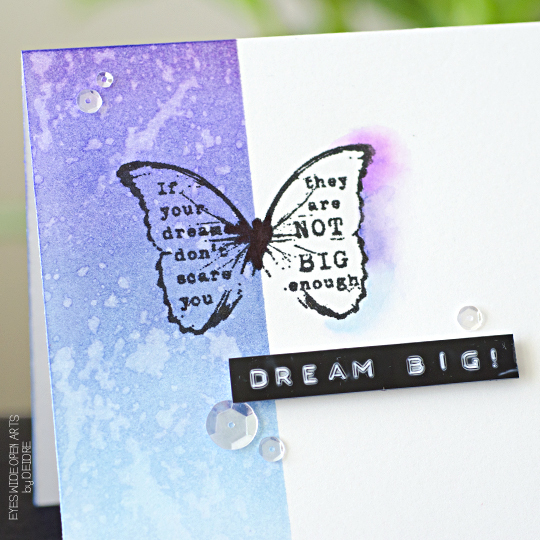 You should fly right over to the other DT pages and see what they dreamed up this week. And don't forget to say hi to our guest designer. 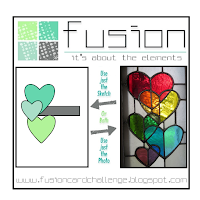 I'm also sharing at Fusion Card Challenge: Stained Glass Hearts. I was inspired by the visible color through the hearts and the lines down the center of them. Such a lovely inspiration piece. Have a happy week creating!